As we mentioned in last page, Niantic released many limited edition Pikachu that wearing a festive hat to celebrate the holiday. So, how to catch these special Pikachu? As we know, Holiday Pikachu which also called Santa Hat Pikachu is a great help for players who have a hard time finding Raichu in the wild. This is to ensure that players will at least have more chances of completing their Pokedex before the second generation of Pokemon will be released. 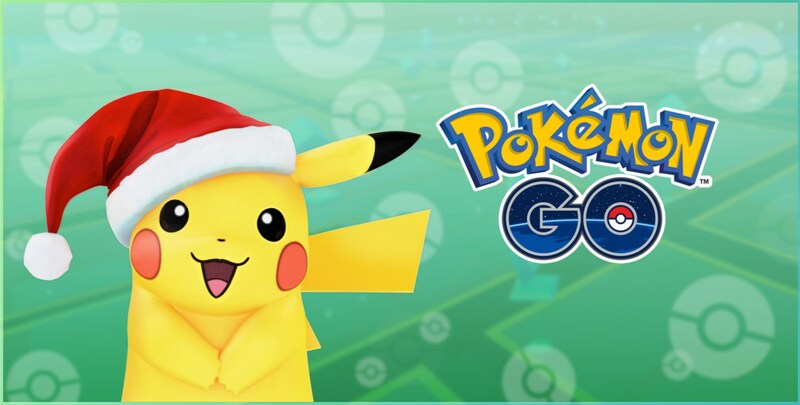 As Santa Hat Pikachu's CP level can't be used as a reference, there will be more difficult to catch a Santa Hat Pikachu. This part we will list some preparations before you catch it. The pre-work you need to do is storing sufficient berries, Great Balls, and Ultra Balls. Considering that we have find no ways to increase Santa Hat Pikachu's spawn rate, players need to play Pokemon Go to encounter it. Santa Hat Pikachu's portrait is seen in the upgraded Nearby feature, so it will be much easier to track them. It will be easier to catch Santa Hat Pikachu if you feed it berries, which will lower the risk of it running away. So, don't try to catch it before you done these preparation. Otherwise, Santa Hat Pikachu may run away and you will have to start the search from scratch. After that, throwing the most powerful Pokeballs you have at it to try to catch it. Notably, it seems that to doing trick shots will increase the odds of a successful catch. In addition, the official Pokemon Go Twitter account has confirmed that, Raichu will have a festive hat if evolved from Holiday Pikachu, and both will keep the hat permanently even after Dec. 29, 2016. More information you can find on pokemonbux.com.